The Robust Low Power VLSI Group, led by Professor Ben Calhoun, investigates research topics related to modern VLSI design. Among the many challenges facing circuit designers in deep sub-micron technologies, power and variation are perhaps the most critical. Our group's focus is to confront these problems in a range of applications and different regions of the design space. Our specific research interests include low power digital circuit design, sub-threshold digital circuits, SRAM design for end-of-the-roadmap silicon, variation tolerant circuit design methodologies, and medical applications for low energy electronics. The group is engaged in projects related to each of these topics. 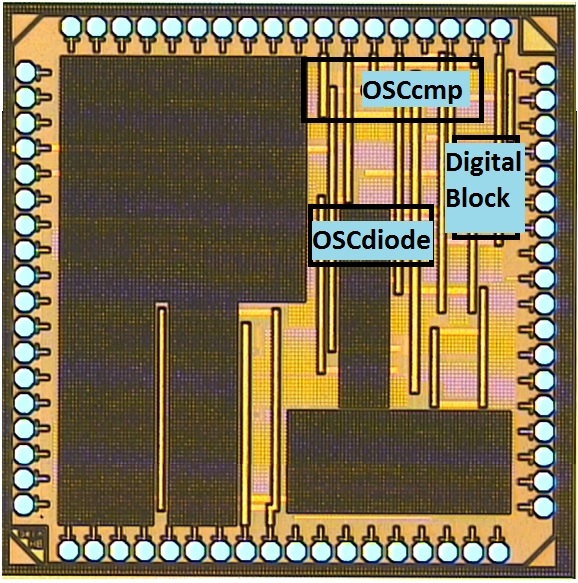 In this project, a low power wireless ECG sensor is implemented using commercial off the shelf (COTS) components. The resulting system can acquire and process ECG data and send it wirelessly to a basestation such as a handheld device. 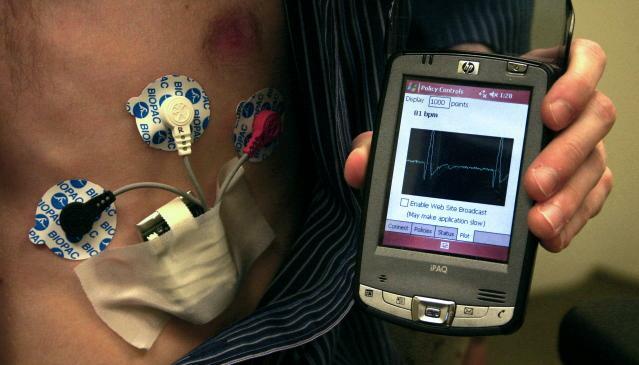 The picture shows the ECG sensor in operation, with the PDA plotting the real time ECG signal. This work explores reconfigurable circuits operating at low voltages. 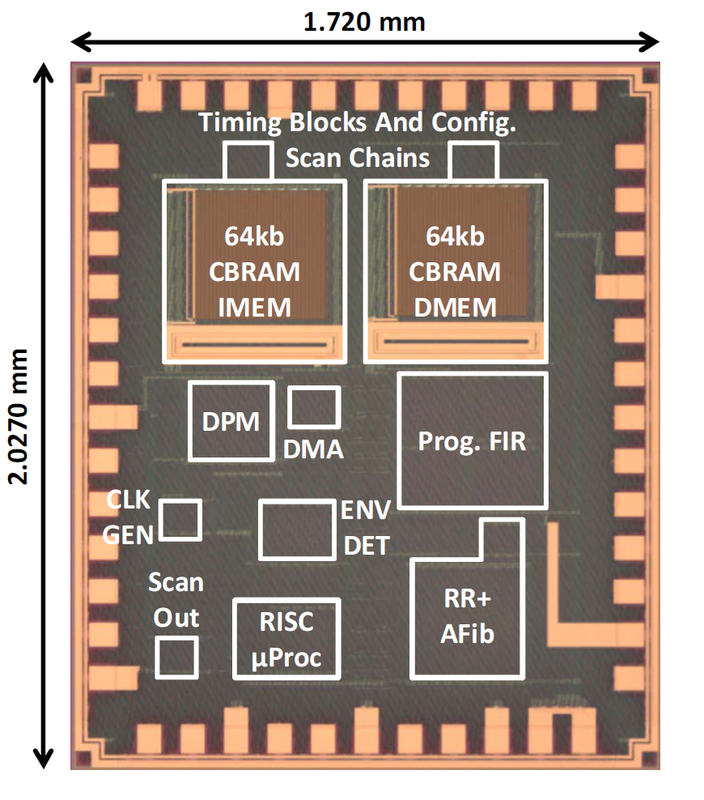 While the existing FPGAs are too high power to meet the requirements of IoT applications, we designed and optimized new circuit typologies of CLBs and global interconnect in near/sun-threshold region. We also developed custom tool flow to support full chip configuration. 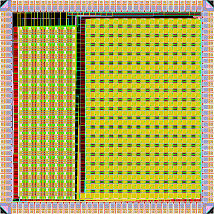 A 90nm chip implements the FPGA with 1134 LUTs, which is 2.7X smaller, 14X faster, and 4.7X less energy than a sub-threshold FPGA using conventional circuits and 22X less energy than an equivalent FPGA at full VDD. We are currently working towards dynamic voltage scaling and measurements using real-life applications. The artificial seal whisker project is a joint effort with the University of Virginia’s Mechanical Engineering Department and the University of California Santa Cruz to detect and track underwater wakes using an array of bio-inspired sensors. Previous biological work found harbor seals are able to track wakes using only their whiskers. In this project, the seal whisker team is focused on understanding how seals sense wakes using their whiskers, designing a capacitance based whisker-like sensor, and designing the electrical backend printed circuit board for sensing, storing, and transmitting data. The biologically inspired sensor’s design is based on seal whiskers and previous effort in the field involving spider hairs and fish lateral lines. All components will be integrated in the Wake Information Detection and Tracking System (WIDTS) to be carried by a trained harbor seal for testing. Mar 2018: Congratulations to Daniel for receiving 3rd place at the University of Virginia Engineering Research Symposium! Dec 2017: Congratulations to Ningxi for defending his PhD proposals!! Way to go! Nov 2017: Congratulations to Arijit for defending his PhD! Nov 2017: Congratulations to Abhishek for defending his PhD! Sep 2017: Congratulations to Harsh for defending his PhD! Sep 2017: Congratulations to Divya for defending her PhD! August 2017: Congratulations to He for defending his PhD! Mar 2017: Congratulations to Chris for defending his PhD!